I think of people as having horsepower, much like cars have horsepower. Let’s say, for example, that you as a business leader have 20-horse power. 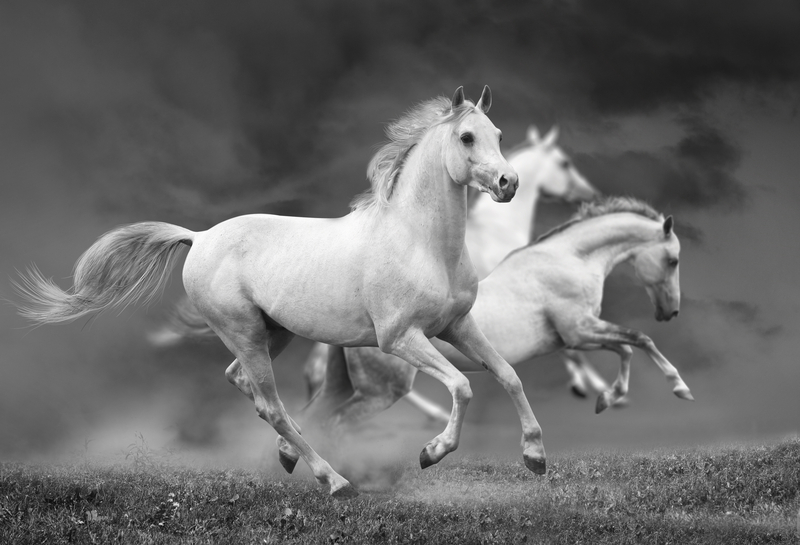 If all of your horses are going in the same direction, that gives you tremendous speed. That is, you’ll work with creativity, momentum, focus and you’ll be supremely productive. But if your horses are not going in the same direction, you won’t be as productive. If you have 7 horses focusing on your customer experience culture, 5 horses dealing with technology upgrades, 4 horses always stuck in meetings, 3 horses emailing colleagues and employees, and 1 horse whiling time away on social media, you aren’t able to fiercely focus, you can’t move swiftly and you aren’t progressing. In other words, you’re distracted and busy, but not productive. But if most of your horses were running in the same direction, you would progress and you would progress quickly. So, the challenge for business leaders, then, is focus. How, then, does a businessperson focus and get all of her horses running in the same direction? The focus strategy I have been sharing with my clients and mentees over the past couple of years, and the strategy I personally use is to identify 3 high-levels projects you need to be focusing on and apply most of your horsepower to those 3 projects. Everything else is re prioritized or delegated. Glenda was overwhelmed trying to tackle several aspects of her contact center. She was designing a new monitoring form and revamping her quality assurance process, researching technology for a phone upgrade, implementing new CRM software, picking out colors for the new wall paint, and trying to boost morale, among many other things. That’s a lot. And yet, Glenda’s project list probably looks a lot like yours in terms how much she’s juggling. It’s not only a lot; it has her horses going all over the place. Your horses may be all over the field too. I had Glenda identify the top 3 projects she needed to be focusing on right now. I convinced her that she’d be far more effective if all of her 20 horses could push the top 3 projects. This would allow her to fiercely focus, progress quickly and bring these projects to closure. Glenda re prioritized the projects that didn’t make the Big 3 and she delegated some of the tasks. Glenda was free to focus. I checked-in with Glenda a few weeks ago and she is making impressive progress on her 3 focus areas. Get your horses going in the same direction by focusing on 3, no more than 4, high-level projects at a time. Get comfortable re prioritizing and delegating. When you do, you’ll move more swiftly, experience less stress and bring projects to closure on time.